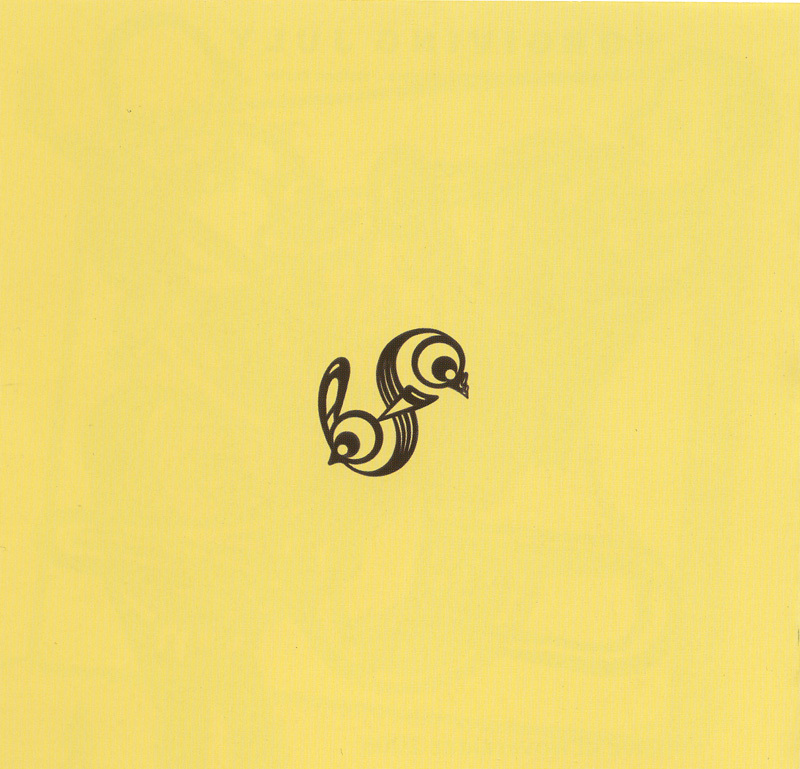 Edition number eighteen of Amirani records is Live at Novarajazz 08 is an acoustic trio recorded at Novara jazz festival ‘08 in Italy. 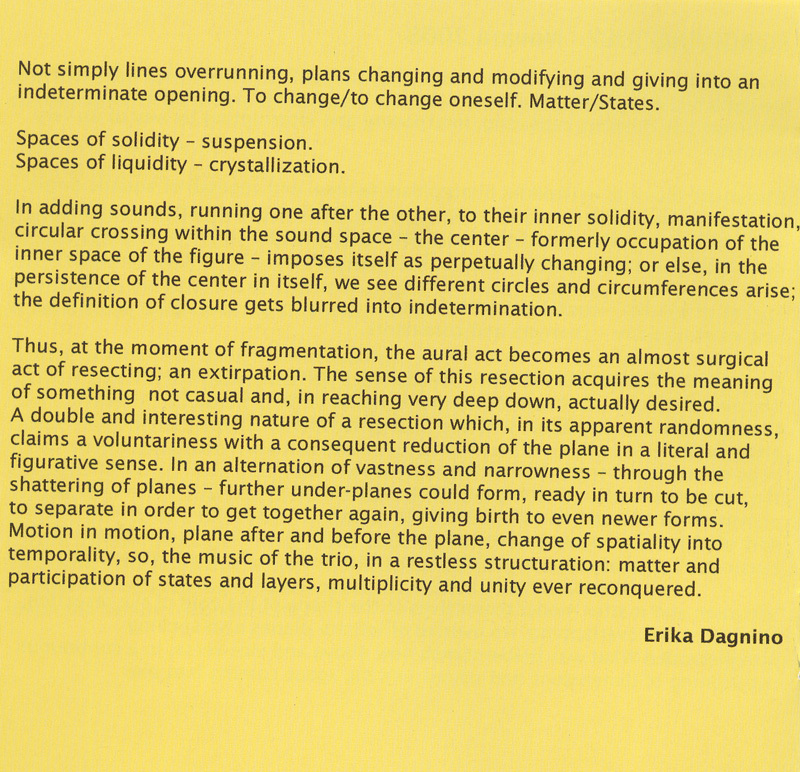 The output is a strange chamber music with sudden strokes of controlled (even not) violence. The relationship finds its way among oblique narrations, with lyrical and dramatic moments, and intriguing harmonic textures . 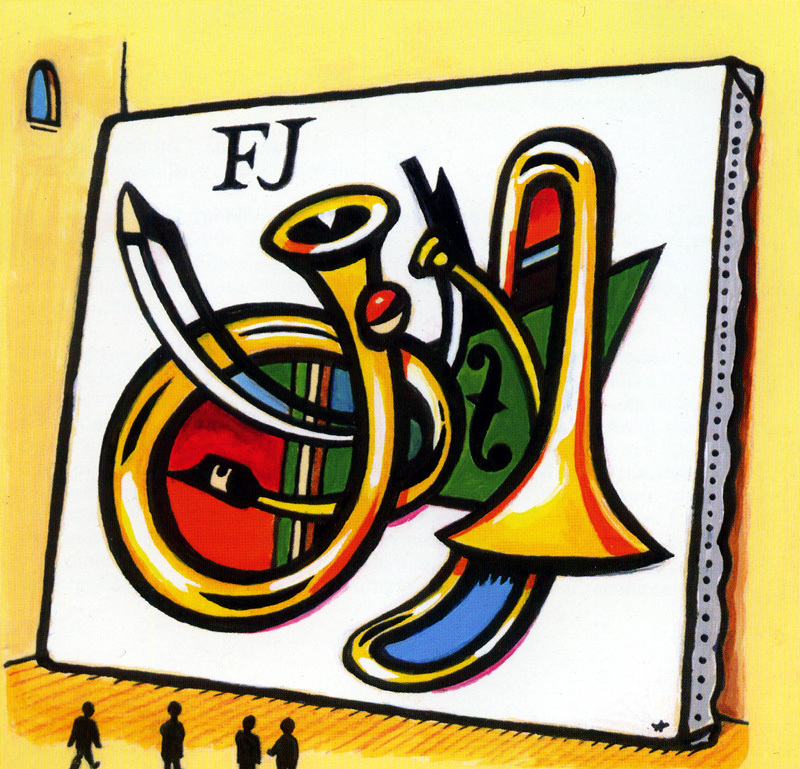 In fact the woodwind-string-brass trio is a very unusual interesting tone melange and the improvisation strategies are here enahanced with subtleness and intensity. Tensive-relaxed ! sincere-cuttin edge ! sculpting light atmospheres ! Contemporary avant-jazz / experimental background and extended instrumental skills give a rich nuance palette, a multi-perspective idea of music and vivid listening experience. 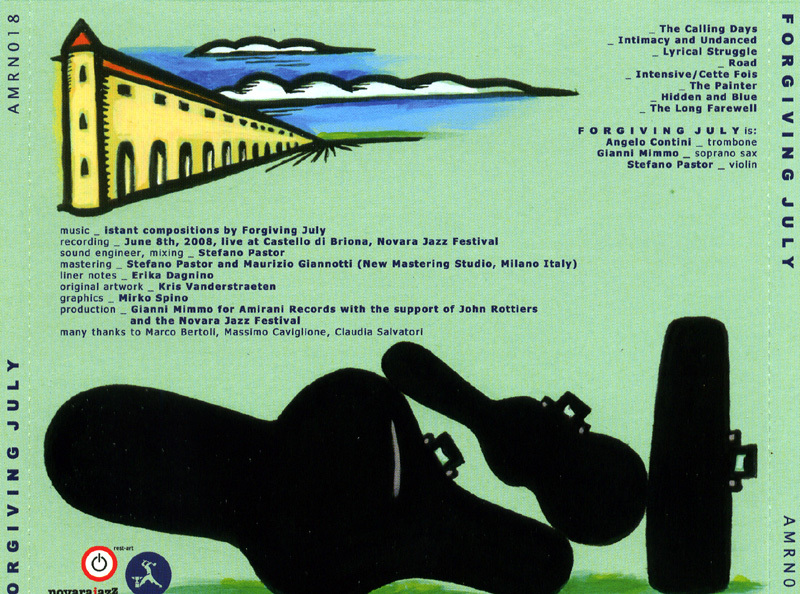 music _ istant compositions by Forgiving July – recording _ June 8th, 2008, live at Castello di Briona, Novara Jazz Festival – sound engineer, mixing_ Stefano Pastor – mastering _ Stefano Pastor and Maurizio Giannotti, New Mastering Studio, Milano , Italy | liner notes _ Erika Dagnino | original artwork _ Kris Vanderstraeten | graphics _ Mirko Spino | production _ Gianni Mimmo for Amirani Records with the support of John Rottiers and the Novara Jazz Festival. – many thanks to Marco Bertoli, Massimo Caviglione, Claudia Salvatori. 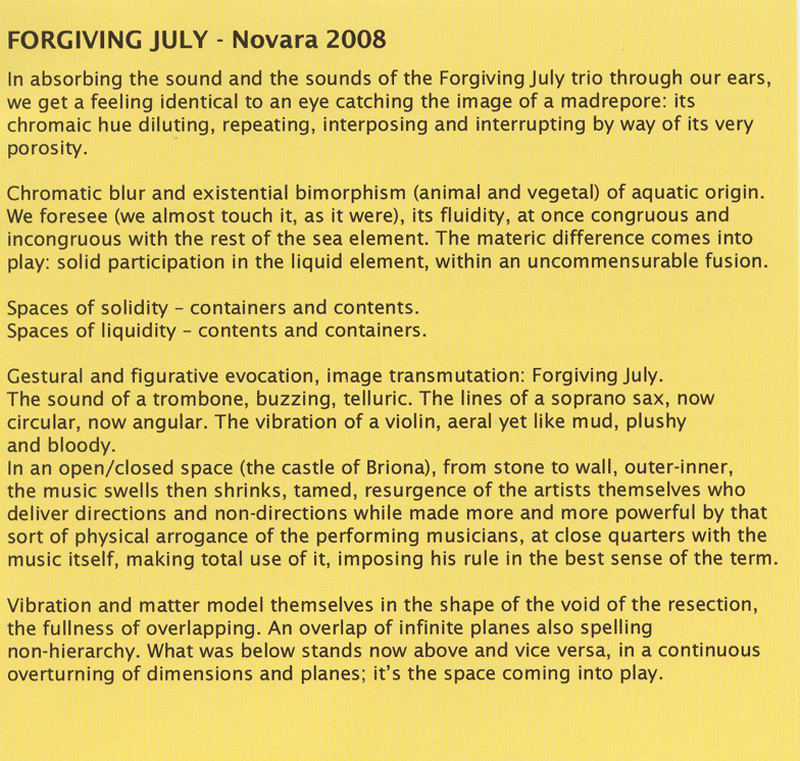 Born and properly set for Novara Jazz Festival 08, Forgiving July has been invited by International Society of Improvised Music to its Conference 2008 in Denver CO, U.S.A. the concert, that has been performed at Hamilton Salon, Lamont School, Newman center, Denver University has been successful and broadcasted by jazz89 KUVO Radio Denver 89.3FM, KGNU Radio 88.5FM/1390AM Boulder/Denver.